How Will These Major Players Effect The Price of Gold? Home » These Gold Influences are Shifting, What Effect Will They Have on the Yellow Metal? Although a few factors have been holding back the price of gold, some are now calling for the tide to soon turn. Here’s what those factors are. This week, Your News to Know rounds up the most important news stories regarding the state of the gold market and the overall economy. Stories include: Two things holding gold price back could be gone soon, Royal Mint plans to sell 1kg gold bars, and Germany may soon scrutinize their gold holdings with the New York Fed. Despite hovering around support levels, gold has performed relatively well in October, being up 3%. But new research done by Capital Economics (CE) builds a case for gold doing much better by the end of the year, and even more so by the end of 2016. According to CE, aside from rising bond yields and a strong dollar, gold is being held back by two additional factors: (1) Its close relation to copper attracting negative sentiment towards metals and (2) subdued inflation expectations. Mining.com’s Frik Els reports that, thanks to these two factors falling off, gold should reach $1,200 an ounce by the end of 2015 and $1,400 by end-2016. “We expect other metals to recover as the news from China improves, while inflation expectations should rebound as oil prices pick up and labour markets continue to tighten,” Capital Economics said of their analysis. To mark the first anniversary of their bullion-trading website, the Royal Mint will soon offer 1kg gold bars aimed at more “serious investors”. Those not satisfied with owning standard bars weighing between one to 100 grams will now have a chance to make a more sizable investment, provided they have enough funds. As seen on The Guardian, each fine Kilo Gold Cast Bar is estimated to sell at around £25,000 ($38,000), although the Mint has not yet given an official number due to the metal’s fluctuating price. Chris Howard, Royal Mint’s bullion director, stated that the Kilo Bar is meant to add depth to their range. The Mint’s trading website attracted more than 12,000 customers since its September 2014 launch. According to World Gold Council research from a year ago, there is as much as £4 billion worth of untapped gold demand in the UK market; the website’s success seems to support this, as the Mint reported a 57% increase in bullion sales since its launch. 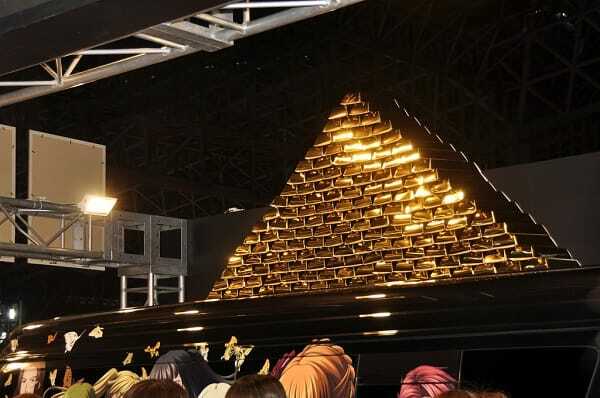 Buyers of the 1kg gold bar will have the choice to either receive the bullion through insured postal service or have it stored in the Royal Mint’s own storage facility, protected by the Ministry of Defence. Should they opt for the latter, they’ll pay an annual fee that equals 1% of the gold’s market value, but will also have the option to sell their gold back to the Mint. Germany is just one out of many countries storing their bullion at the Federal Reserve, and they’ve relied on written confirmation of their gold holdings thus far. But, as reported by the Wall Street Journal, a German federal court recently said the country should physically inspect its gold reserves worldwide, including those stored in New York. This could spell trouble for the Fed should their actual holdings of foreign gold be lesser than reported. Audits of this type are generally performed on short notice, and any stalling by the Federal Reserve would likely cause a break of trust. This could result in the foreign treasurer repatriating all of his nation’s gold “in the hope that he won’t be stuck as the last man with a Fed receipt with no gold to back it,” as Robert Wenzel puts it. The bullion-storing methods themselves leave much to be desired – gold is compartmentalized by numbers rather than names of countries, and only a handful of Fed officials know what the numbers mean. Should the Fed lack enough of a country’s bullion, they could simply display another country’s gold to the auditors, although this would seem unlikely given how dishonest it would be. Germany and other countries could also implement a future workaround by marking the gold with serial numbers after an audit. The U.S. also never audited its own gold stored in Fort Knox, which has long fueled speculations regarding the bullion’s state – some believe it was stolen and replaced by gold-plated tungsten, but the government dismisses this as nonsense.